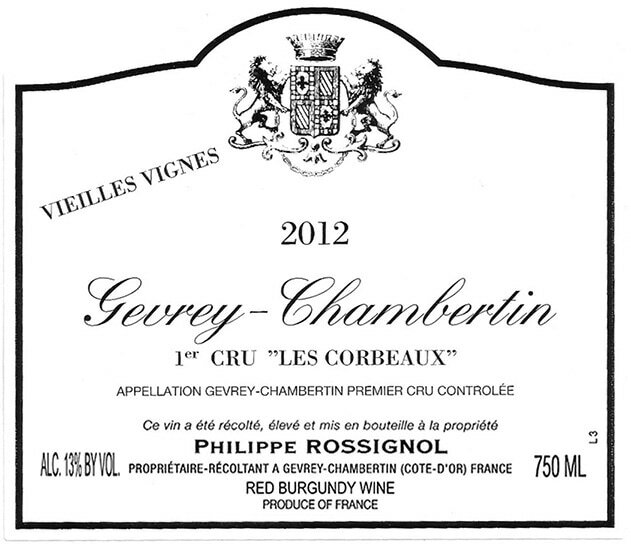 This is a small 7 hectares domaine located in the village of Gevrey-Chambertin run by Philippe Rossignol and his son Sylvain. 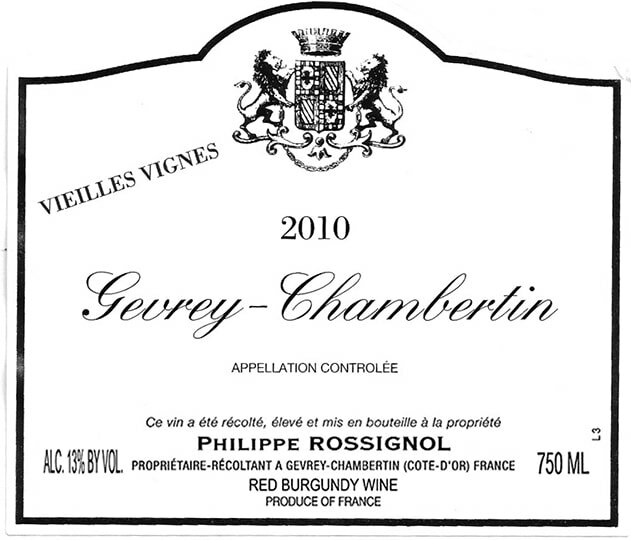 His everyday red comes from on the flatter vineyards surrounding his house and winery just east of the village of Gevrey Chambertin. 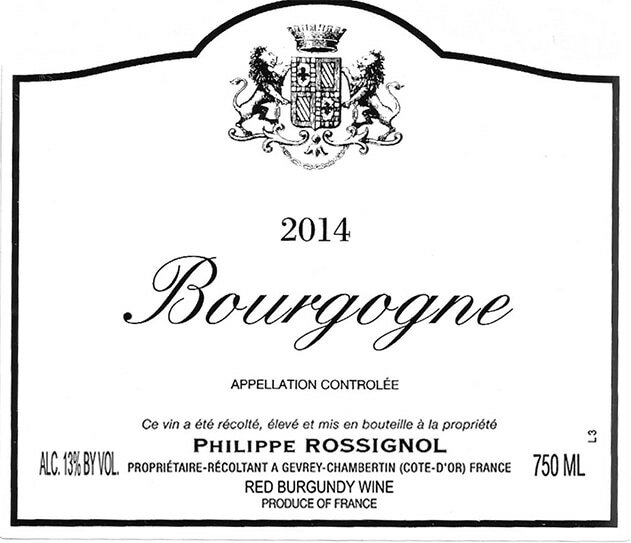 It shows notes of red fruit with with good tannic and acidic structure. 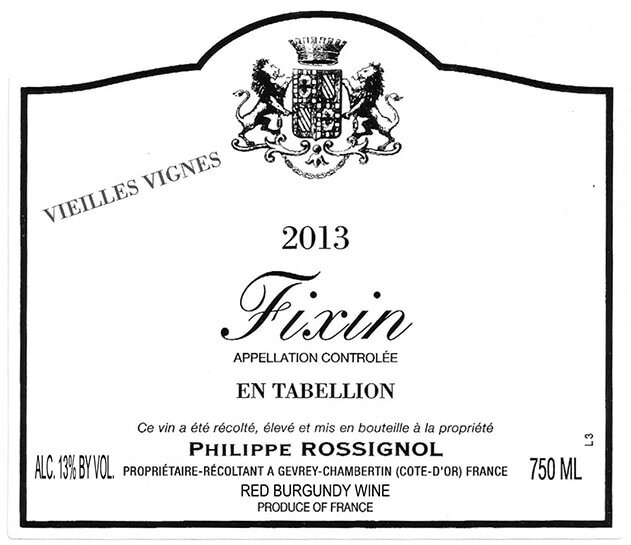 Located above Gevrey Chambertin, Fixin (pronounced Fissan) is one of the most northerly appellations of Burgundy. The Rossignols have a small plot near the Premier Crus called En Tabellion. 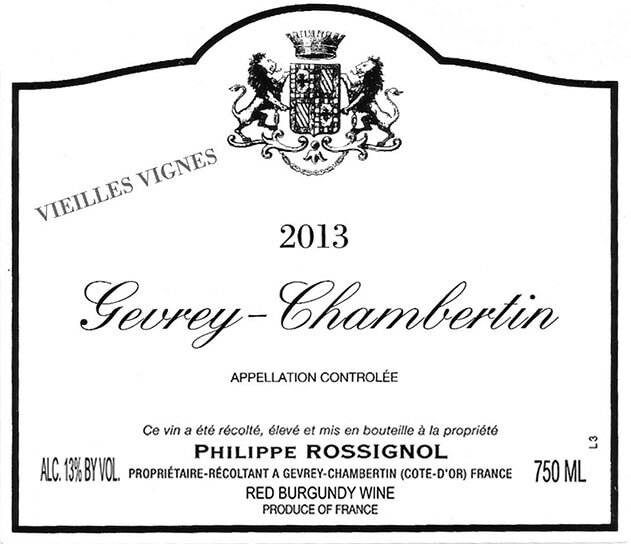 This is a sturdy red, with aromas of black cherry and blackcurrant, along with a higher-pitched violet note. This is an excellent choice for braised pork or comte cheese.